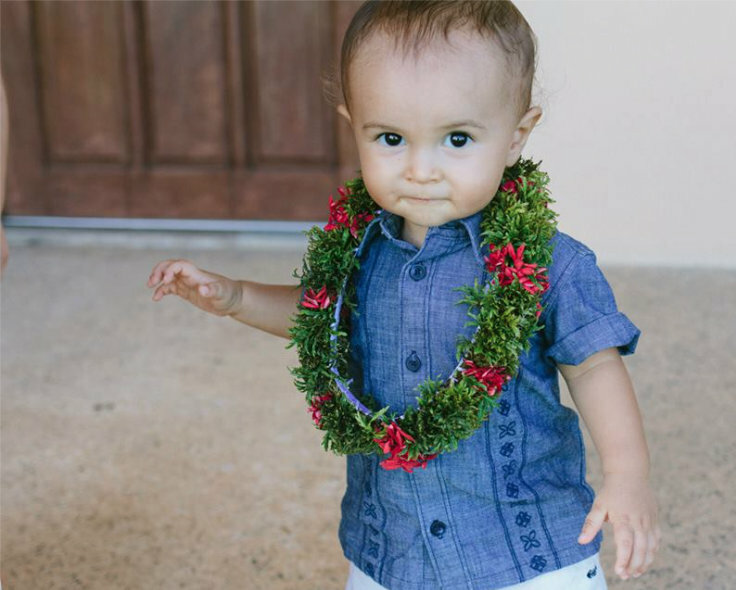 I mentioned last week that my sweet friend Mylyn hosted a luau first birthday party, heavy on the endless summer vibe. 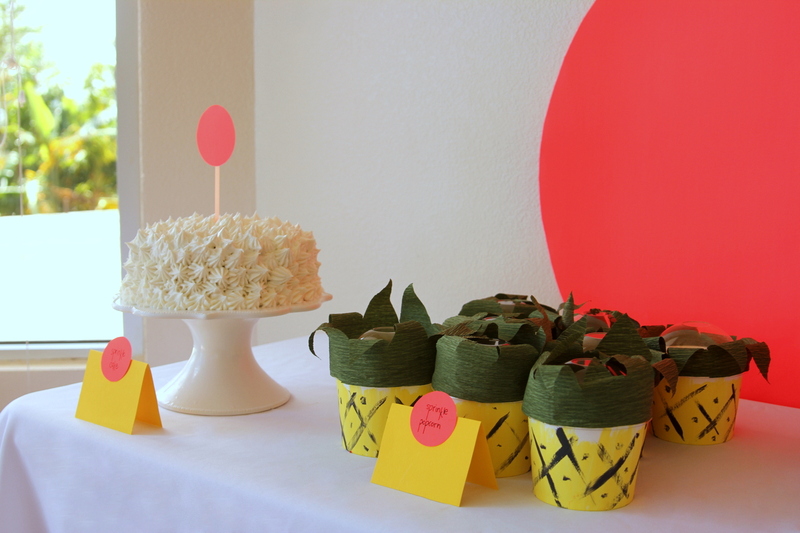 …the treat table was pineapple heavy (and also super simple)…. 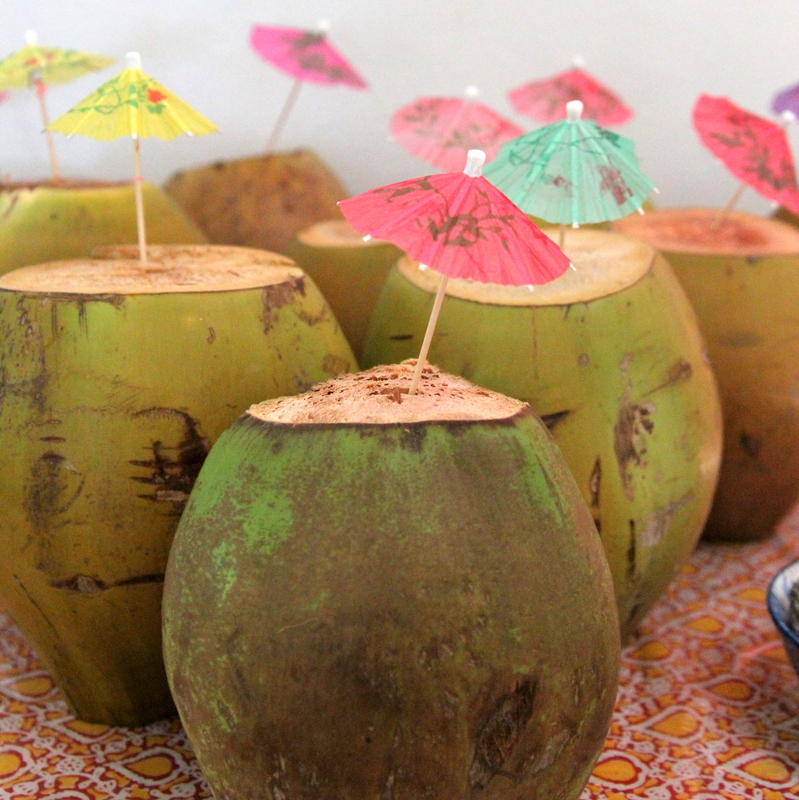 …and rows of coconuts made perfect luau drinks! 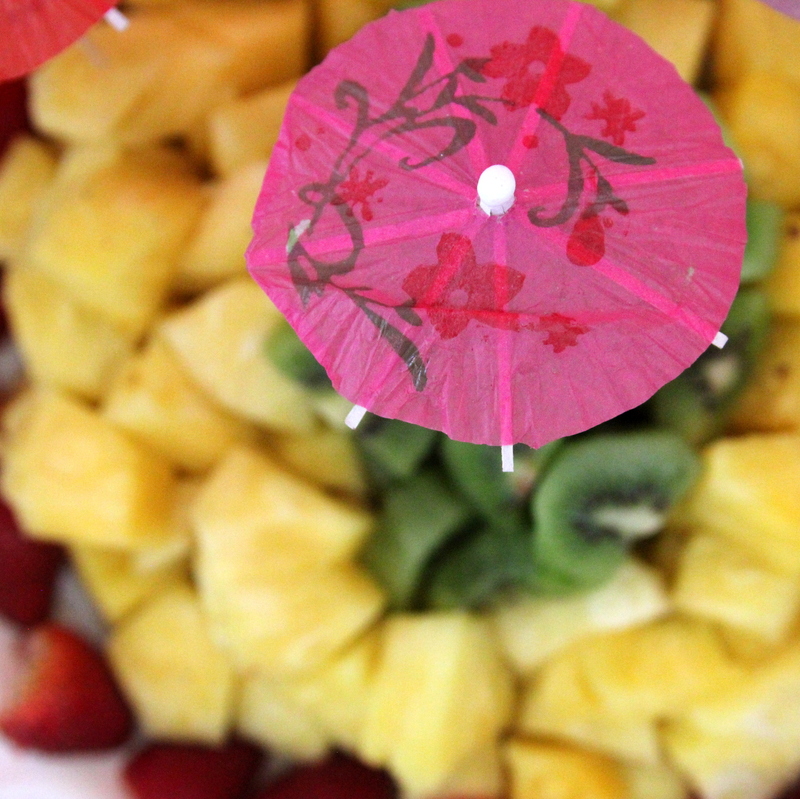 …and little drink umbrellas, a hawaiian party vibe is pretty easy to accomplish. 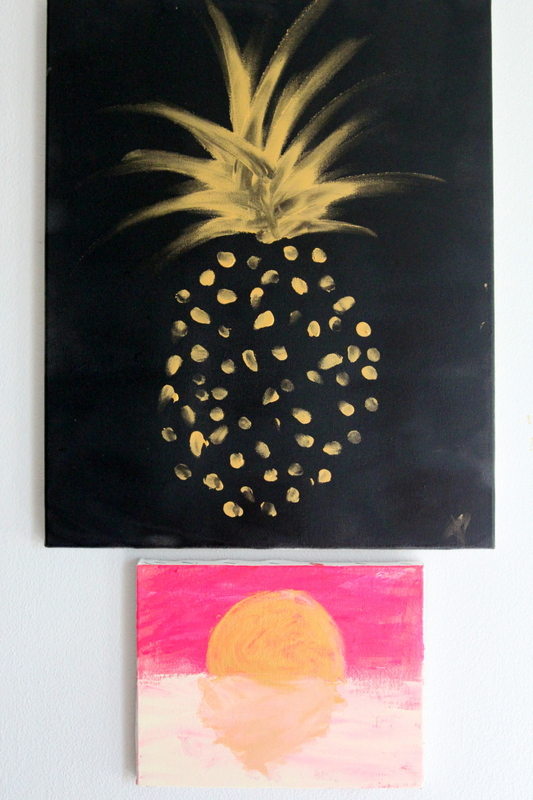 And I LOVED the way she added pineapple art to add to the Endless Summer vibe. 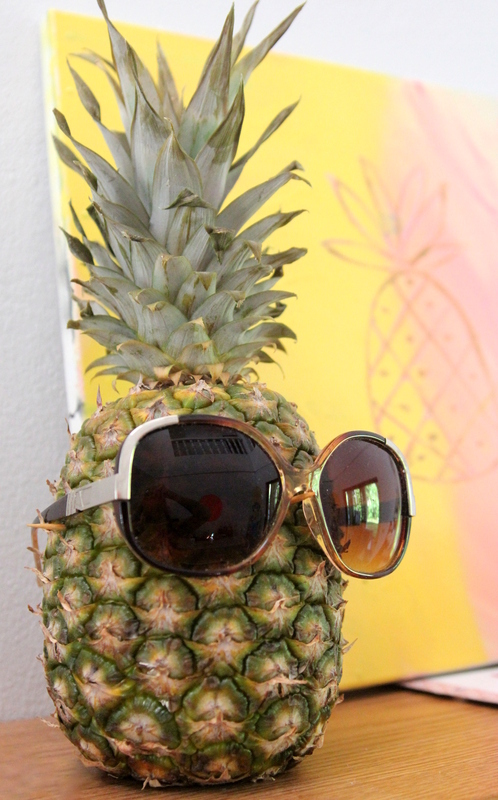 Instead of party games, Mylyn had the cultural club from a local high school visit. 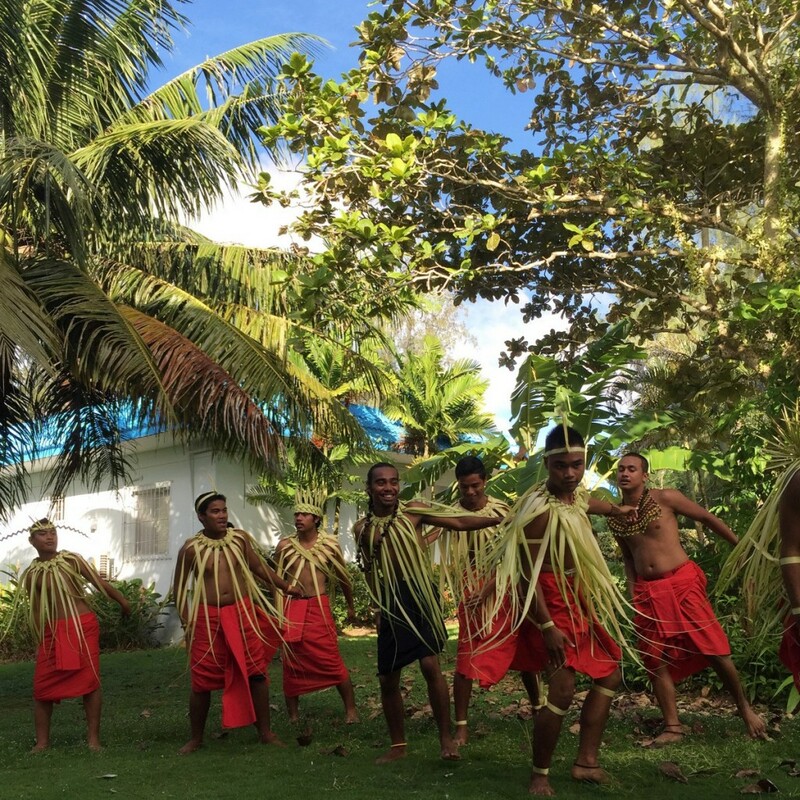 They brought mar mars (flower crowns) and performed traditional Carolinian stick dances. 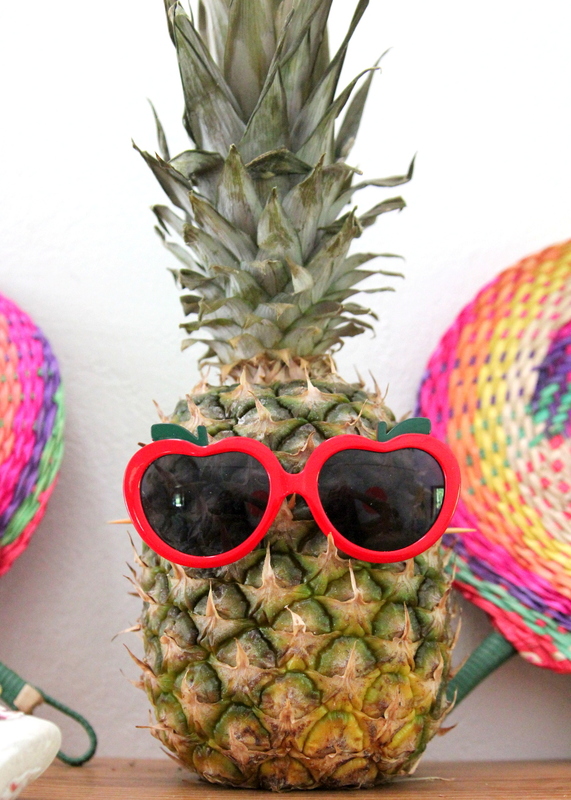 Best idea ever! 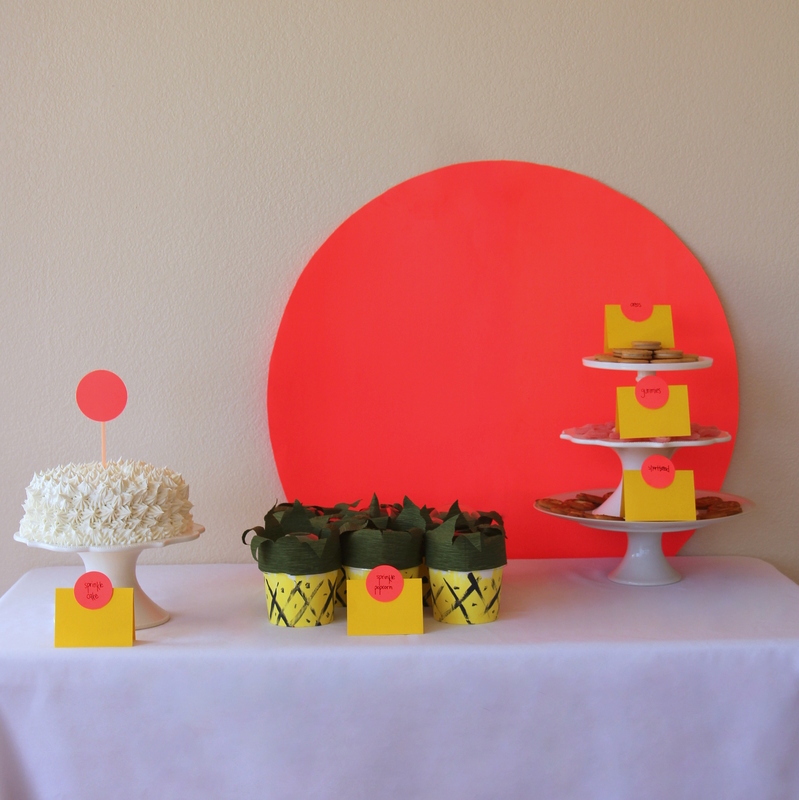 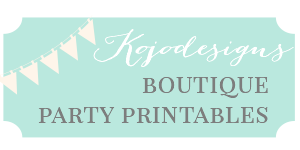 What a perfect luau party- I had so much fun helping with this one! 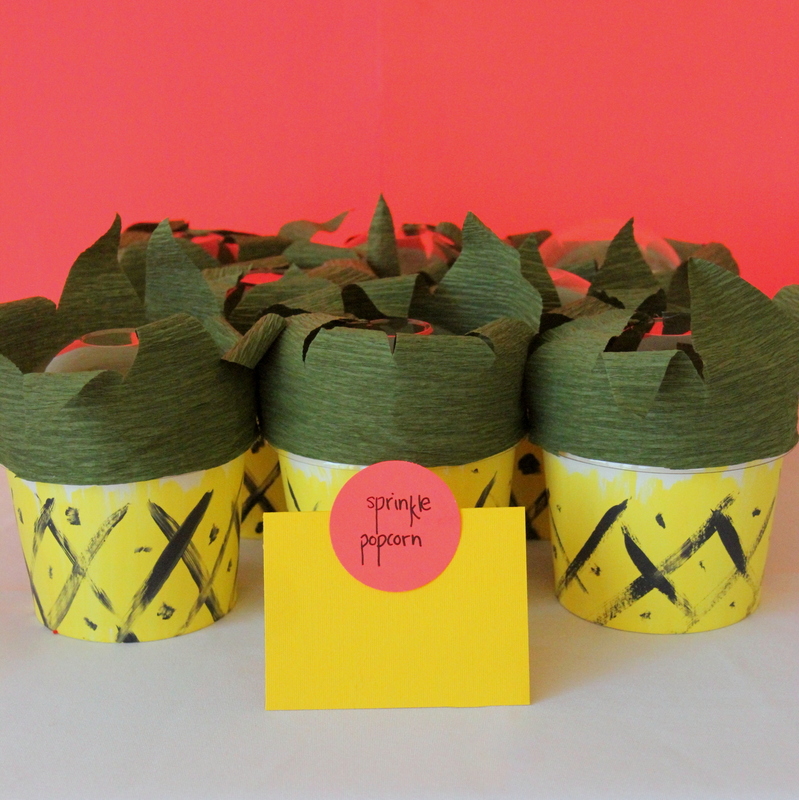 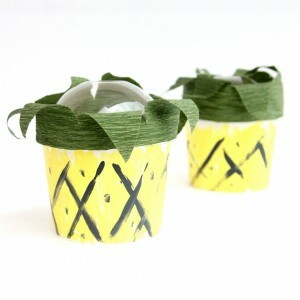 ps- Learn how to put together the pineapple treat cups here.